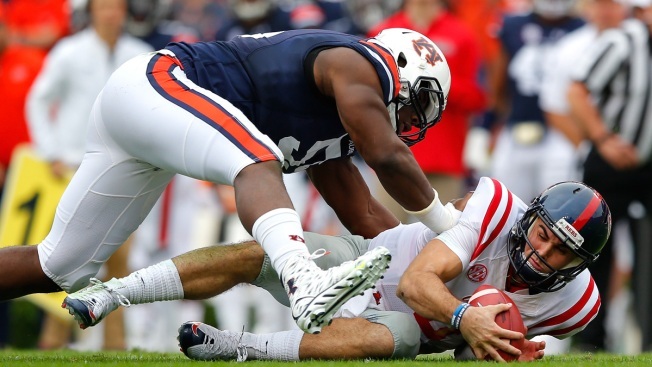 Carl Lawson was a 5-star recruit out of Milton High School in Georgia and many publications ranked him their top defensive end in 2012. He started producing for the Tigers right out of the gate, notching 4 sacks and 7.5 TFL and earning Freshman All-America honors. He started 2014 on the Ted Hendricks Award watch list, but an ACL injury forced him to miss the season. Lawson returned in 2015 as Auburn's starter at Buck end, but he missed six games with a hip injury. He finally had a full season in 2016 and showed why he was so coveted out of high school, finishing with 9 sacks, 13.5 TFL and 24 QB hurries in 13 games. He announced his intent to enter the 2017 NFL Draft on Twitter. Lawson has his warts that will devalue him to a lot of teams. He isn't a Day 1 starter in the NFL, but his burst, bend, speed-to-power conversion and hand usage make him one of the top pass-rushing threats in this draft. 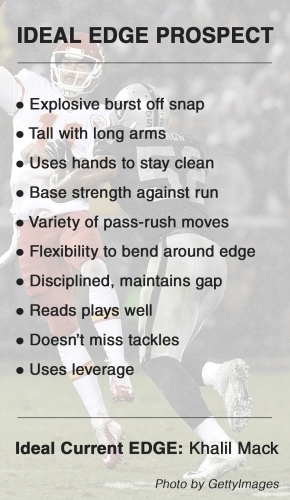 If he can clean up his flaws a bit, he'll be an above average edge rusher in any scheme. Another first-round edge rusher bodes well for the Cowboys. Lawson lacks some of the physical traits coveted by NFL teams and he might be more attractive to 3-4 teams. But when it comes to getting after the quarterback, Lawson might be the best available when Dallas picks in April.